On Wednesday, March 31st, the Abante Colleagues participated on a beautiful celebration of the Passover at the European Theological Seminary. 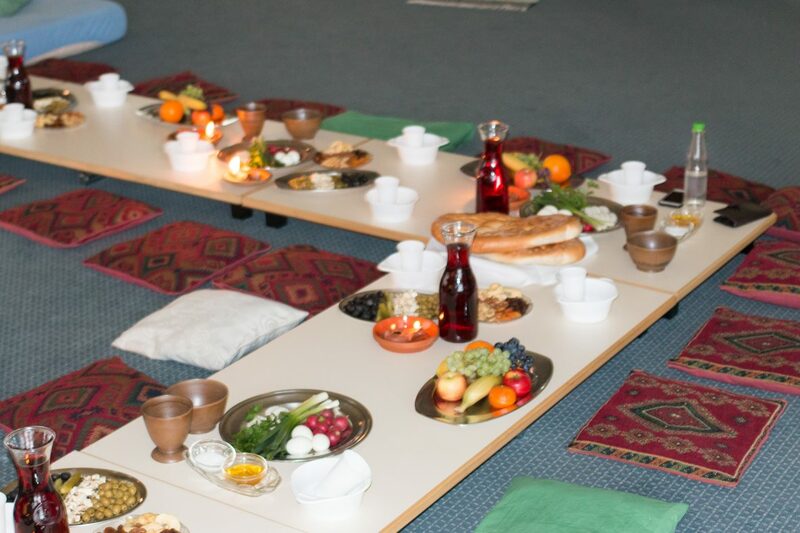 The faculty and staff of ETS prepared the meal which consisted on a stew, bitter herbs, flat unleavened bread, boiled eggs, olives, nuts, olive oil, grape juice, and fresh fruit. The atmosphere was colored with the sweet move of the spirit around oil lamps, the bread and the wine, and the hearts of worshipers rejoicing in God’s great mercy. The music was beautifully led by Pastor Bora Romakov and his worship team, with a few Hebrew language selections, as well as German and English. Professor Paul Schmidgall presented a lecture of how the Passover was celebrated by the children of Israel. He had help from several students dressed in historical garments, to portray a close enough representation of the historical event. Professor Schmidgall also provided charts, and videos in a very educative power point presentation, and he led the audience into the Passover prayers and a hymn. The children of Israel suffered greatly under the ruling of the Egyptians, however, God provided them a deliverer in the person of Moses. If you look around long enough, you cannot help but see a similar oppression being felt around the world. Yahweh, continues to raise up deliverers to reach out to the nations with the gospel of hope. For the Abante International colleagues, as well as for the European Theological Seminary students, this Passover celebration served not only as a educative moment, but as a reminder that each person present, should feel the burden of the cry to the nations. May the next deliverers rise up from this generation!